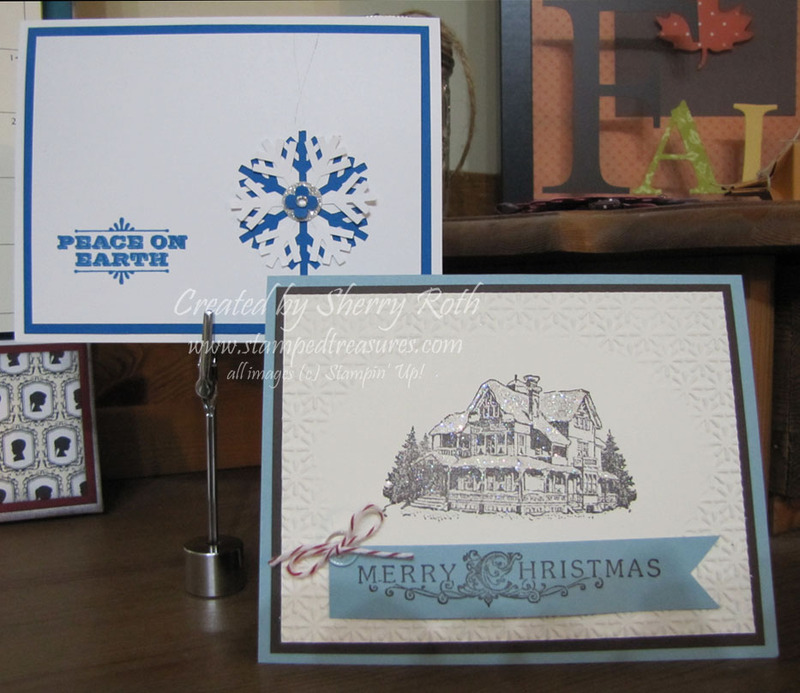 Sherry"s Stamped Treasures: Stamp-a-Stack - still a few spots left! Stamp-a-Stack - still a few spots left! Hope you all had a great weekend! Just wanted to pop in and let you know that I still have a few spots left in my upcoming stamp-a-stack. If you are in the Sherwood Park, Edmonton or surrounding area and would like to attend, let me know. We will be creating 16 cards, 4 each of 4 designs (the photo shows two of the 4 we will be making). Everything is cut and ready for you, you stamp and assemble. Please bring your adhesive. Cost is $35. Contact me if you'd like one of the last few spots. Have a great day!